Hey Gang! Travis back with some Tampa Bay entertainment that I know you ALL will want to participate in. FreedomFest 2009 is this weekend, which will honor our heroes that serve and have sacrificed for our country. 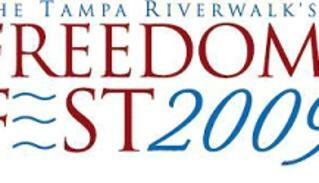 FreedomFest is the inaugural event of a planned series of Riverwalk festivals. 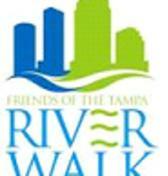 Organized and sponsored by Friends of the Riverwalk, the goal is to program the waterfront with entertaining, seasonal celebrations, flavored by Tampa’s rich culture. Organizers of FreedomFest 2009 announced details of their Memorial Day Ceremony scheduled for 10 a.m. from the Cotanchobee Ft. Brook Park Main Festival Stage along with a special Flag “Planting” Activity that will be hosted during the May 23, 24 & 25 event in downtown Tampa. The event will host a Flag “Planting” Activity, with Flags placed in honor of friends and family members that serve and have sacrificed for our freedom. Names will be written on the wooden staff of each flag, with flags placed along the edge of the Riverwalk from the Main Stage to Hero’s Plaza along the southern edge of Cotanchobee Ft. Brook Park. Following a weekend of family entertainment, FreedomFest will conclude on Monday morning with a Memorial Day Ceremony on the Main Festival Stage in Cotanchobee Ft. Brook Park. The public is invited to join Master of Ceremonies Tedd Webb, from Newsradio 970 WFLA AM, Dan Mahurin, chairman of Friends of the Riverwalk, Col. Lawrence Martin, 6th Air Mobility Wing Commander at MacDill Air Force Base, and Mayor Pam Iorio to honor and salute those who have served our country as well as remember those who have sacrificed protecting our freedom. 10:30 am - Ms. Lisa’s Dance & Co.
And there you have it everyone. So, make sure you head out and enjoy and support this great event. And keep checking back here for more great things to do in Tampa Bay!